University at Buffalo received a A.
U.S. News & World Report's ranking of 48 out of 117 of National Universities Top Public Rankings was a major contributor to this grade. "University at Buffalo, as this SUNY school is calling itself these days, offers a top-notch education in "just about anything." Engineering, business, and pre-med are the major draws, but other disciplines (especially communications and the liberal arts and sciences) also offer competitive programs, and the library, research, and recreational facilities are all very impressive." Describe the type of student who should not attend University at Buffalo and explain why. Describe the type of student who should attend University at Buffalo. Why? What is a typical University at Buffalo student like? Describe the type of person that should attend University at Buffalo. I think any kind of person can fit into the culture at UB. Some ideal qulities are to be a dedicated to your studies, a willingness to live life to the fulliest, and to take chances. What are the top 3 reasons someone should attend University at Buffalo? To receive a quality education at a reasonable price. To receive the benefits of a world-class university. To learn from professors who are leaders in their field. What was a typical University at Buffalo student like in high school? Describe the type of person that should attend University at Buffalo. You would have to be a well-rounded, ambitious and a dedicated student. Book smarts are not enough. You have to have the communication sills to be able to know when to listen, when to speak and how to speak. Why should I go to University at Buffalo? What were your top five reasons for going there? Despite the school's large appplicant pool, it takes a close look at applications. The student body ranges from those who've lived in Buffalo their whole lives to international students. What are the top 3 things that students do for fun at University at Buffalo? Three things that many people do at the University at Buffalo for fun are, going to parties, sport events, and school events. What's your experience with University at Buffalo housing like? What University at Buffalo clubs and student organizations do you recommend? What do students do for fun at University at Buffalo? How did you choose your major at University at Buffalo? The average student pays $13,581 for tuition, fees, and other expenses, after grants and scholarships. 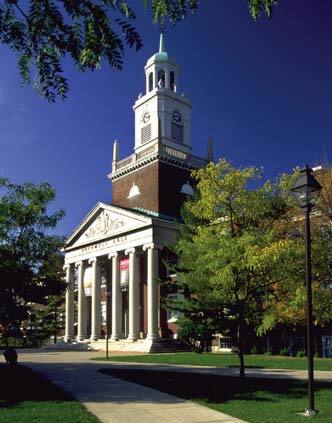 Learn more about financial aid at http://financialaid.buffalo.edu/. Estimate the net price for you at http://financialaid.buffalo.edu/costs/netpricecalculator/index.php. The typical (median) early career salary of University at Buffalo graduates is $45,100, according to Payscale. University at Buffalo participates in the NCAA Division I-A for college athletics. Want more info about University at Buffalo? Get free advice from education experts and Noodle community members.